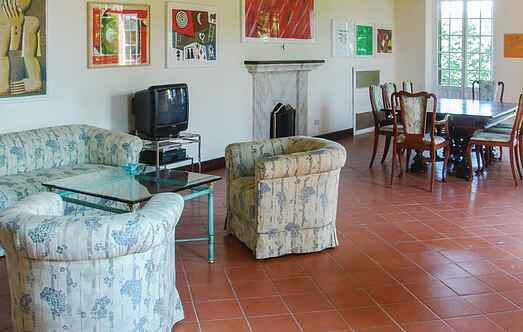 Find a vacation home to rent in Todi from our list of vacation rental properties. Campaya has over 30 vacation homes available in Todi, which give you the possibility to locate a unique accommodation in Todi which completes your check-list in search for the perfect self catering vacation apartments in Todi or vacation villas in Todi. This traditional stone-built house with beautiful swimming pool is set in a wonderful position near the small town Todi. This beautiful Franciscan monastery from the 13th century is set in a quiet panoramic position with breath taking views to enjoy. Cosy detached holiday home in Todi (Perugia), in a property made of two farmhouses with shared swimming pool. In the beautiful region of Umbria lies this inviting holiday home with stunning panoramic views over Todi. This stunning characteristic Umbrian farmhouse is part of a property dating back to the 17th Century and is composed of 3 units overlooking the surrounding countryside of Todi. Characteristic apartment in a small fortified Medieval hamlet, set in dominating position over a valley, ca. 7 km southern from Todi. This characteristic apartment is about 7 km south of Todi and is set in a small, fortified hamlet from the Middle Ages, which the Romans built in a dominating position overlooking a valley. Pleasant apartment situated inside a very small, peaceful medieval hamlet of only 6 apartments. Particularly beautiful, broad view of the hills. Peaceful position. Holiday apartment in the Medieval castle of Petroro, a historical residence in the surroundings of Todi among the green hills of Umbria. This ancient stone-built tower spread over four floors, has been perfectly renovated and turned into a lovely holiday home.